Fashion's Night Out, being the first day of fashion week is always exhausting for me. This Fashion's Night Out, I really wanted to avoid the crowds and hang out amongst friends at some exclusive events. Even though I had six events scheduled on my list, I ended up going to three of them. On my way back from the Nicholas K Spring 2013 show, I visited the Maybelline Color Studio parked at 41st and Broadway from 10:30-1:30pm. A complimentary manicure or makeup touch-up was available to anyone that stopped by. I went with the makeup-touch up, including Dream Fresh BB cream. The Maybelline Color Studio was also in Union Square later that afternoon. In preparation for FNO festivities, Style invited me to get primped and pampered with complimentary mini-manis by Spa Chicks On-The-Go, makeup touch-ups by Bobbi Brown, eyelash applications and a beauty bag filled with Style must-haves. It was nice to relax and enjoy some cocktails and hors d'oeuvres. 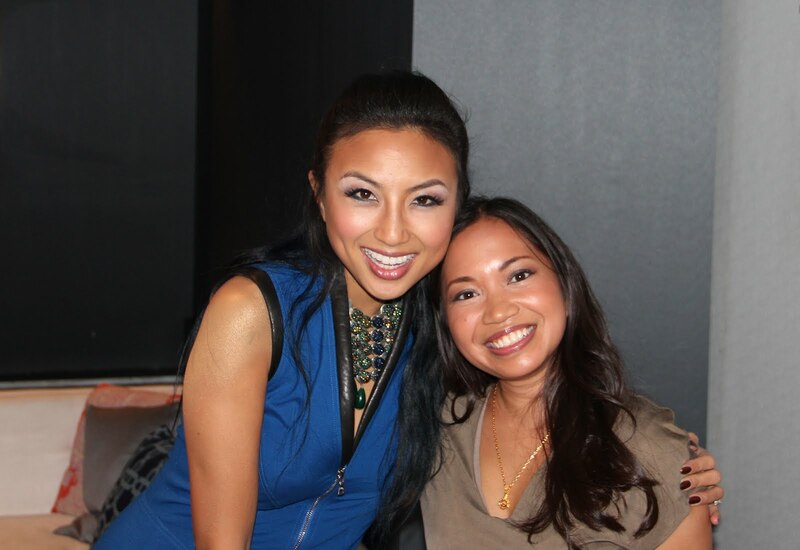 Jeannie Mai, host of Style Networks "How Do I Look?" I could not stay away from the candy/dessert bar, complete with a take-home-box! My last stop was at the Journelle boutique for a party and preview of the Stella McCartney Lingerie Autumn/Winter 2012 collection.